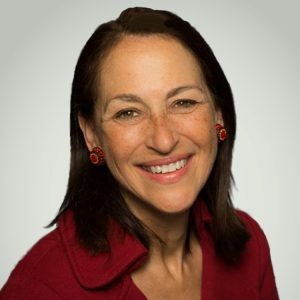 Margaret A. Hamburg is an internationally recognized leader in public health and medicine. She is the former Commissioner of the U.S. Food and Drug Administration (FDA), having stepped down from that role in April 2015 after almost six years of service. As FDA Commissioner she was known for advancing regulatory science, streamlining and modernizing FDAÛªs regulatory pathways and globalization of the agency. Before joining the FDA, Dr. Hamburg was founding vice president and senior scientist at the Nuclear Threat Initiative, a foundation dedicated to reducing nuclear, chemical and biological threats. Previous government positions include Assistant Secretary for Planning and Evaluation, U.S. Department of Health and Human Services, Health Commissioner for New York City, and Assistant Director of the National Institute of Allergy and Infectious Diseases, National Institutes of Health. As Foreign Secretary of the National Academy of Medicine, the health arm of the National Academy of Sciences, Engineering and Medicine, Dr. Hamburg serves as senior advisor on international matters and is the liaison with other Academies of Medicine around the world. She is President-elect of the American Association for the Advancement of Science, as well as an elected member of the Council on Foreign Relations and the National Academy of Medicine. In addition to her service on the board of the Parker Institute for Cancer Immunotherapy, Dr. Hamburg currently sits on the boards of the Commonwealth Fund, the Simons Foundation, the Urban Institute, the Global Alliance for Vaccines Initiative and the American Museum of Natural History. She is chair of the Joint Coordinating Group for the Coalition for Epidemic Preparedness Initiative, and a member of the Harvard University Global Advisory Council, the Global Health Scientific Advisory Committee for the Gates Foundation, the Harvard Medical School Board of Fellows and the World Dementia Council. Dr. Hamburg earned her BA from Harvard College, her MD from Harvard Medical School and completed her medical residency at Weill Cornell Medical Center. She is the recipient of multiple honorary degrees and numerous awards.